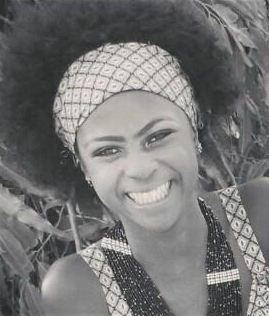 After the shocking details of how a 300 Level students of the University of Lagos was killed by a cable wire, which fell from an electric pole, the University of Lagos is in uproar, as students of the academic institution has taken it upon themselves to act and show their grievance against the way in which this beautiful student lost her precious life. 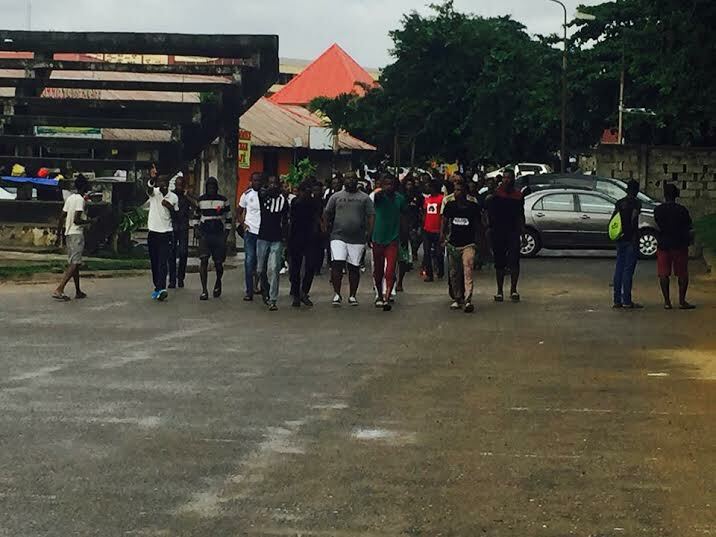 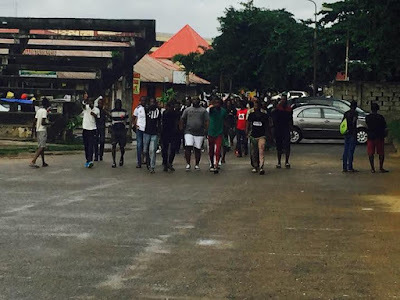 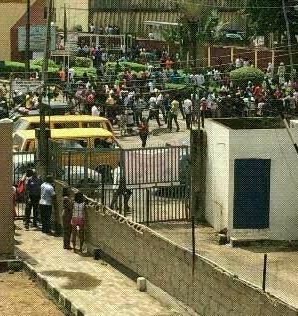 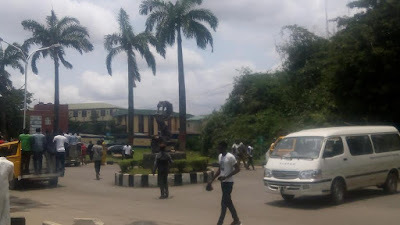 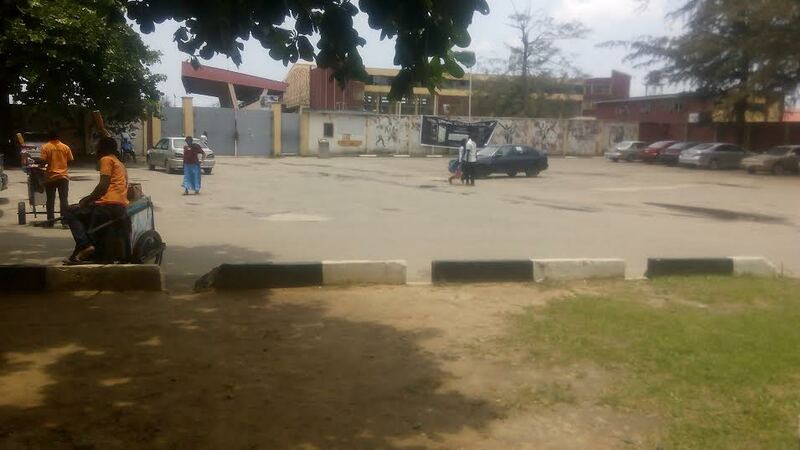 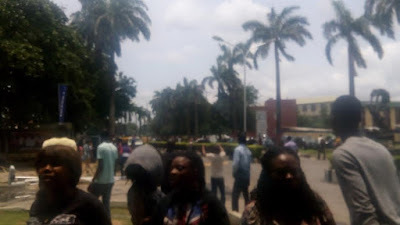 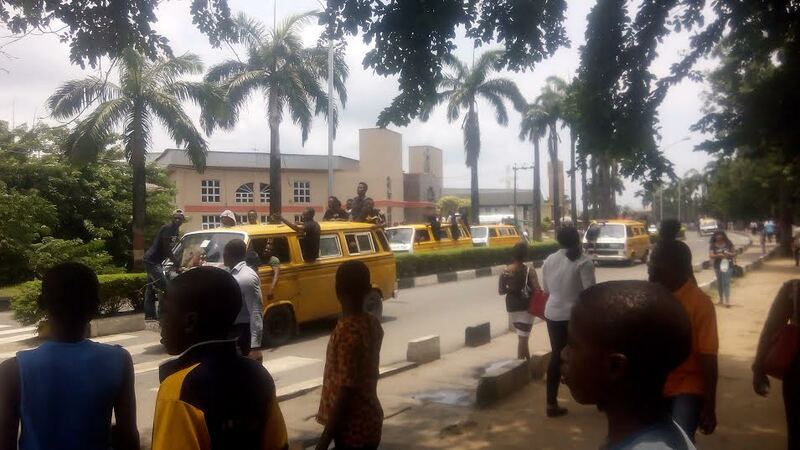 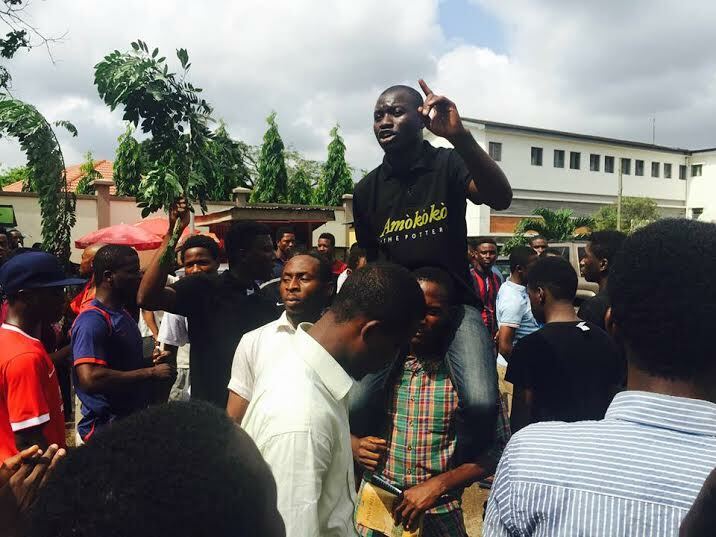 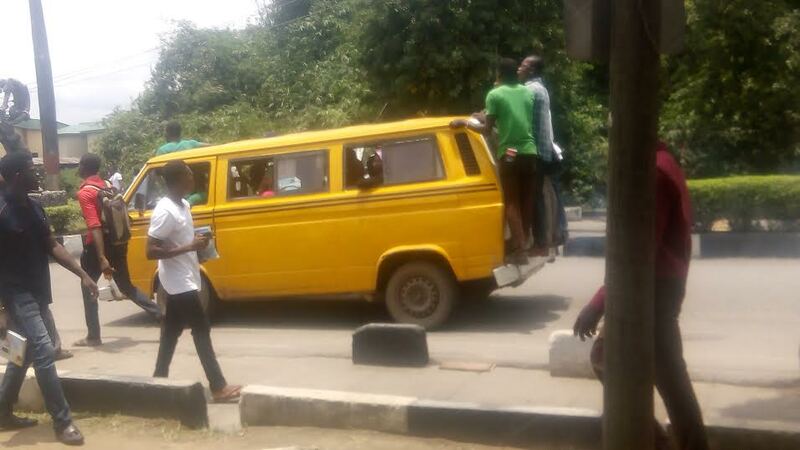 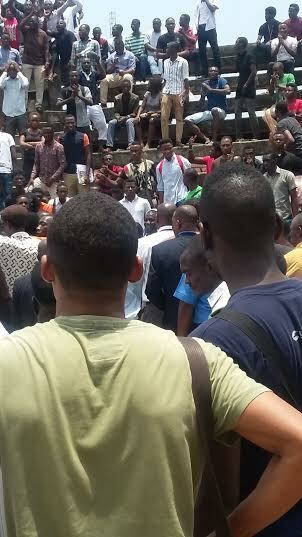 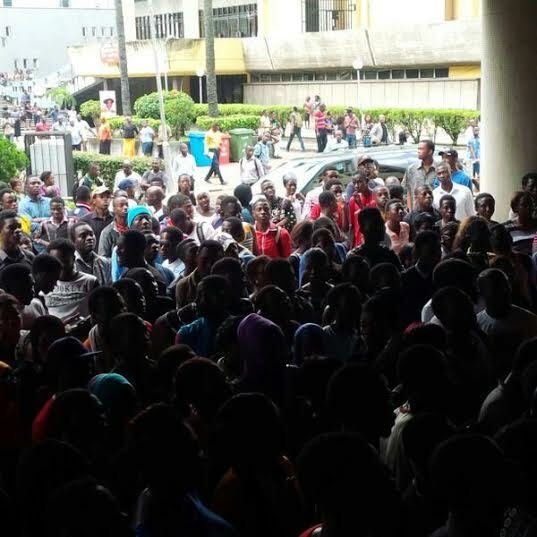 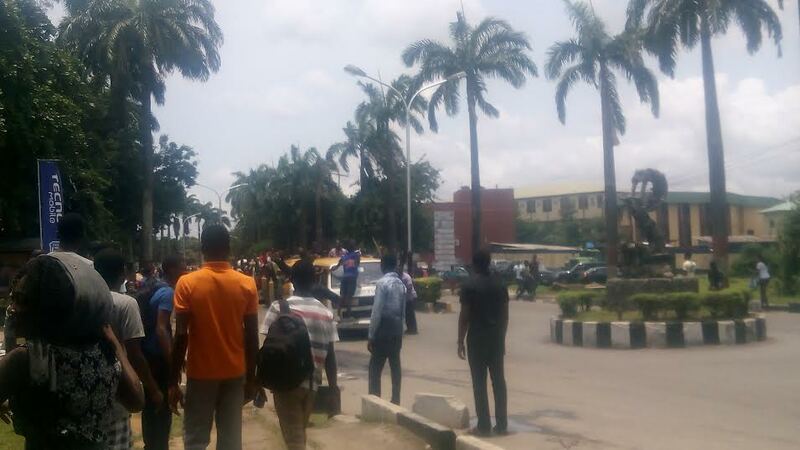 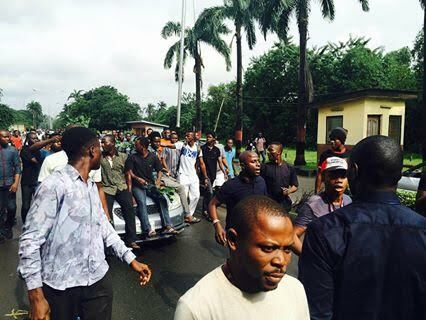 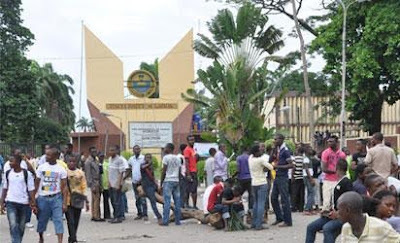 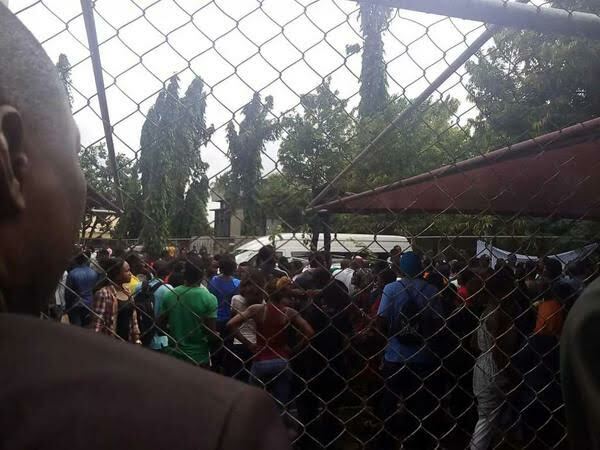 According to information just reaching our news desk, the students of the University of Lagos (unilag) have been protesting at the school gate for hours now. 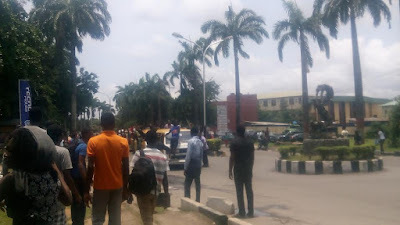 Eyewitnesses disclosed that the two entrances to the campus have been blocked by the students, and there is heavy security presence everywhere,, before the situation escalate and erupt to something more violent. The Unilag students are protesting the death of a fellow student, Miss Oluchi Anekwe, who was a 300 level Accounting student before her death, was electrocuted in the school campus yesterday in broad day light. The Students Union have cancelled all student academic & social activities for the day, in her honor. 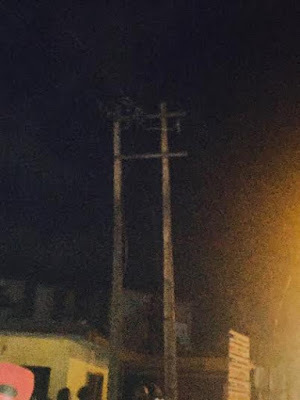 The students blame the school management for her death, using signposts and banner which displays that if the live wire that fell on her had been attended to, her death would have been avoided and her family won’t be in this sorrow. The students also went on to use this medium, to say the poor maintenance of facilities, equipment and wires in the school is responsible for this horrid incident and that the school must attend to this situation before it gets worst.